Numerous homeowners wonder about whether or not to repair or replace their furnace in their home. Sometimes the cost of replacing the heating system seems overwhelming and they believe it is better to repair it. 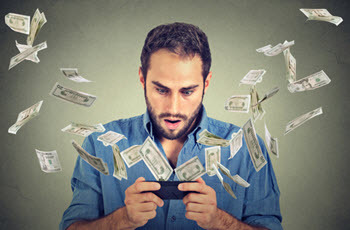 They think that it is a more financially sound choice to repair it than to pay a substantial amount of money on a new unit. However, the United States Department of Energy (DOE) reports that 20 years is the typical lifespan of a furnace. After a heater has reached the end of its lifespan, it is a good idea to upgrade to a new heater. Although replacing the furnace is costly, there is a vast array of benefits with which such action is associated. In this article, we will discuss the benefits of upgrading your heating system especially when it is at the end of its lifespan. your home heating costs will decrease considerably. 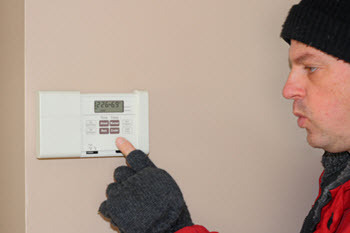 Your home will also be more comfortable and you won't deal with a furnace breakdown during the coldest months. Result Home Services offers reliable heater replacements in Raritan NJ at an affordable cost. 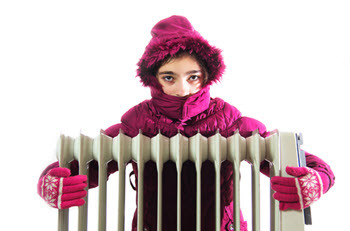 Certain property owners are confused regarding when they should replace their heating system. Unfortunately, some even wait until it is too late and find themselves with a malfunctioning unit in the middle of winter. Fortunately, such scenarios are avoidable, as the signs of a failing heater are difficult to overlook. When it seems that you are continuously repairing your heater and if the price of the repairs is about 50 percent of the heating system replacement cost, it is time to upgrade your heater. However, should you choose to repair it, make sure the job is completed by a reputable HVAC contractor. Professionals HVAC contractors who are willing to continuously repair the same unit without suggesting an upgrade are less than reliable. Many consumers are also tempted to repair their systems over and over again. However, this is a bad idea. When you spend far more on repairs when compared to an upgrade, you are doing yourself an injustice. A better option is to shop around for a new unit. 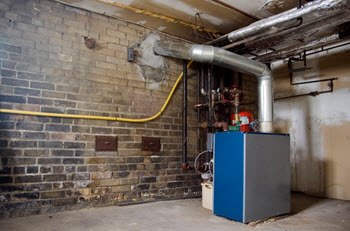 If you are asking yourself "how efficient is a 20 year old furnace", you may be interested to discover that furnaces that are several decades old have probably lost at least some of their efficiency. The Annual Energy Utilization Efficiency, or AFUE, of a 20-year-old heater generally drops to about 78 percent or less, even if it was regularly maintained. AFUE refers to the system utilized to measure a heating unit's efficiency. For example, a furnace running at approximately 80 percent AFUE is burning roughly 80 percent of the oil or gas it consumes. The other 20 percent goes to waste. For this reason, your heating costs rise when your AFUE drops. hire a professional HVAC contractor to install a new, energy efficient heater. A new heating system should run at an AFUE rate of approximately 93-97 percent. You should also make sure you do not forget to have the new unit tuned up on a regular basis. This will help your heater continually perform efficiently. A typical heater has a life span of approximately 15-20 years, according to a study completed in 2007 by the National Association of Home Builders and the Bank of America. In the same study, research claimed that traditional baseboard systems have an average lifespan of 13-21 years. There are several avenues through which you can determine your unit's age. For example, certain contractors write the installation date on the unit itself. You can also contact the manufacturer with the unit model and serial number to discover its age. Install carbon monoxide detectors in your home to monitor levels of this dangerous gas. Install these detectors within 10 feet of each bedroom. Of course, carbon monoxide leaks are also detected through proper heater maintenance. a replacement is necessary. However, in certain instances, a broken thermostat can cause temperature issues as well. This is particularly true if the thermostat is as old as the unit. The best way to determine if the problem you are having is the furnace itself, the thermostat, or both, is to contact a professional. When you notice your furnace displaying any of the signs outlined above, get in touch with an HVAC professional as soon as possible. Having the situation evaluated and installing a new heater will ensure that you and your loved ones remain comfortable and safe throughout the winter. It will also guarantee lower fuel bills during the cold weather. Contact Result Home Services for all your heating and cooling needs, such as heater replacement or repairs. Our contractors are NATE certified and have extensive experience in the industry. They can recommend the most appropriate heating system for your home and ensure your comfort throughout winter. A new unit will also improve your indoor air quality and use less energy than an old, outdated system. Get in touch with one of our home comfort specialists today to schedule appointment. We offer free estimates. Some of the areas we service include: Bridgewater, Hillsborough, Raritan, Somerville and these zip codes: 08807, 08844, 08869, 08876 as well as all surrounding areas in Somerset County, New Jersey. We service multiple locations throughout the United States, including Raritan, NJ. Click here to see our coverage area. You can also give us a call at (888) 972-8662 to fast and reliable repairs and maintenance services.